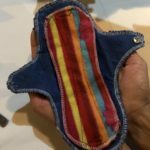 Menstrual Hygiene Day is May 28th. What are you doing May 28th? Perhaps you will start that day with a shower. If you are a female and are menstruating, you may reach for a tampon, pad, or another feminine hygiene product. In the US, we have many options to choose from. You may even have a favorite brand. You will continue your day like any other day. What would happen, however, if you no longer had access to clean running water and hygiene products? Would you still be able to work or attend class? Pure Water for the World knows access to clean water, latrines, hand-washing facilities, and hygiene education, including menstrual hygiene management, is vital for a healthy community, especially for women. 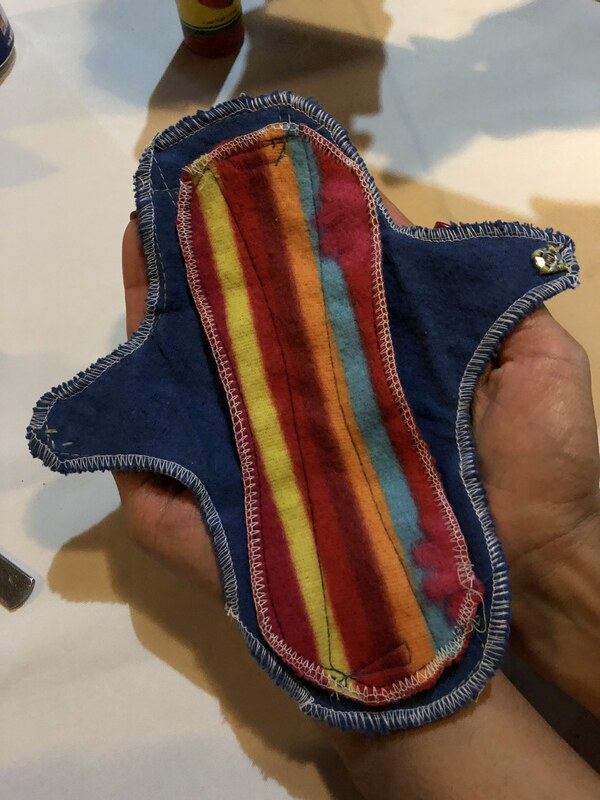 They take pride in creating many projects to sustain healthy feminine hygiene practices because they firmly believe every woman should have the opportunity to succeed in life without the burden of menstrual health concerns. 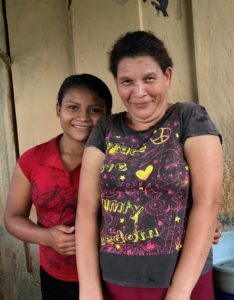 Kaytee Chincarini, a recent first-time PWW Honduras volunteer, was surprised to hear how menstrual health was handled in the remote community she was working in two weeks ago. 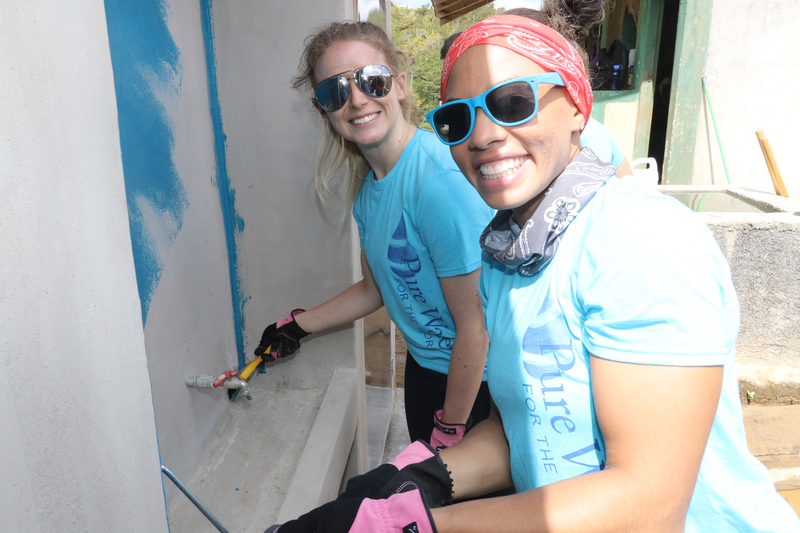 Kaytee (back left) helps paint latrines at a community school. Latrines are gender-specific, with access to water inside, so girls can take care of their monthly cycle hygienic needs in private. Three programs Kaytee experienced during her trip related to supporting mothers and girls with their monthly cycles were the building of latrines and hand-washing stations at a school, the distribution of personal hygiene kits, and learning about the creation of reusable sanitary pads. The PWW team instructs teachers, mothers and girls about how to make their own reusable menstrual pads (example pictured left). For the pads, recycled materials, including broken umbrellas and other fabrics, are carefully hand sewn together. The pads can be folded up and hidden discreetly, insuring the girls’ privacy. While the pads are a great step in the right direction, Kaytee, a pre-med student in Florida, insists that access to clean water is still an important step. 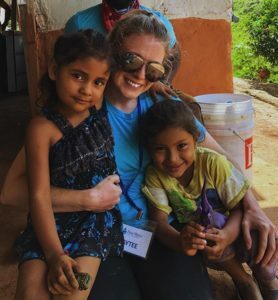 “Since the pads these girls and women have access to are reusable, having clean water is vital to be able to clean them without worry of illness spreading,” Kaytee shares. The latrines pose an essential source of additional privacy as well, as they give girls a discreet location to change or wash their sanitary pads. 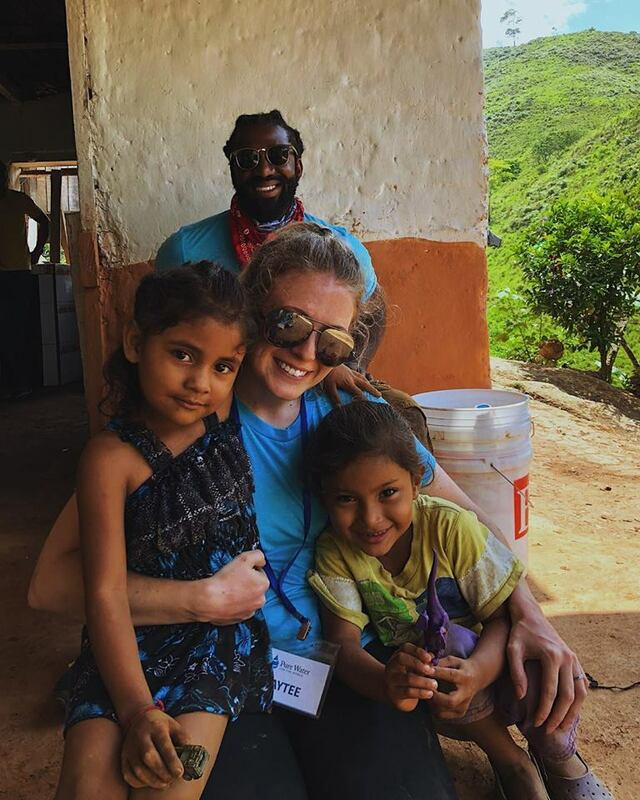 For the communities of Trojes in which the volunteers worked, Kaytee feels confident that their hard work will directly benefit the lives of the people who call this place home, especially the women. Pure Water for the World is making sure the needs of girls and women will no longer go unnoticed. Kaytee is happy to be a part of an organization doing its part to address this issue. Every latrine built and pad sewn together is more than just that. It is the promise that a woman is heard. It is the promise of opportunity, and Pure Water for the World is elated to be a part of it. Watch for updates about PWW’s planned activities in both Honduras and Haiti to celebrate Menstrual Hygiene Day. PWW Travelers, WASH Success Stories. permalink.